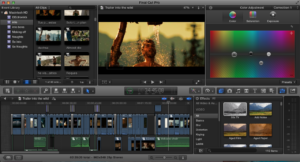 It a debate as old as time: is Final Cut Pro X or Adobe Premiere the better editing software? Really it is all about preference of interface, and what your capabilities are. A client rarely has preference for specific editing software. There are perks to each of the softwares, along with many things that may come up short for both when deciding which one to invest in. I ranked according to price, user-friendliness, and overall software efficiency. While both are over $200. Considered moderately priced for most. However, Final Cut Pro is a one-time purchase software. Meaning you own that generation of the software. Adobe Premiere is an annual bill. Many Users break into monthly payments. The final total for Final Cut Pro is currently $299.99 + tax. The total for Adobe Premiere is $239.99 + tax. Although Adobe Premiere is an annual fee of $239.99, financially it’s the best option. It comes with 100 GB of cloud storage, and as they update the software, you have access to those updates as long as you are paying for the software. Final Cut Pro on the other hand, will be $299.99 every time they release a new version of the software. This may eventually lead to spending more money to stay with the latest updates. Adobe Premiere is the winner. Premiere is the most cost-effective software. The lower annual price, and the potential for teacher/student discounts, pushed it to the lead. Both editing systems have similar looks at first glance. Final Cut Pro gives off a beginner look, which I think makes it easier to use at first. Everything is right there in front of you, and most things are a click-away. However, for overall user-friendliness, Final Cut Pro takes the cake! The interface is very easy to navigate, and most tools are in plain sight. Those not familiar with editing, and/or are just beginning to learn can be comfortable with Final Cut Pro. This software’s interface looks less intimidating. Final Cut Pro wins the User-Friendliness category. With the simplicity of its interface, Final Cut Pro is the clear winner in regard to the ability for even beginners to use the software with few problems or confusion. Final Cut Pro and Adobe Premiere are both efficient for what their purposes are. Both are used by different demographics and accomplish similar tasks. 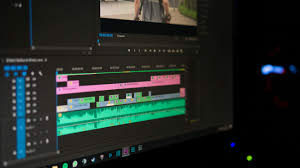 Adobe Premiere is tailored for industry professionals, while Final Cut Pro is tailored more towards people who want to edit, but have beginner to intermediate skills. One great thing about Adobe Premiere is that it is linkable with the entire Adobe suite. Anything that you do in any other Adobe software can be imbedded into your video project on Premiere without a problem. Similarly, any video that you create in Premiere can be easily transferred to another software to complete a larger project. Additionally, once you get the hang of navigating around the interface, Adobe Premiere is very powerful and efficient. Final Cut Pro lacks some of the capabilities that Premiere has to offer, and through personal experience, it tends to crash more often when being used extensively. However, it takes longer to render your files once completed with your project. For usability and efficiency, Adobe Premiere is the winner. The capabilities and ease to move the project amongst different softwares gives it an chin up to its competition. Both softwares have their benefits. They serve the purpose of providing their customers with great editing abilities. However, Adobe Premiere seems to come on top in more categories than Final Cut Pro. With the efficiency of the software, the price, and the moderate user-friendliness. Premiere serves its purpose of being the most effective editing software of the two. ← Producer: What’s in my Bag?